Estimated Class 1S, marginal 9% hardstanding and objects within 100 metres, limit 10%, hedges have been excluded. Note: is on the roof of a WWII underground bunker. May or may not be heated today, is under many feet of earth and concrete, negligible thermal conductance but leakage via ventilation and services might be significant. UHI, local is undecided, distance, 50km centre of London. Google Street view revealed the site in the woods has a… windsock. Maybe that’s regulations, Sir. Microsoft Bing here, use different zoom to get different age. Changes every year, try exploring history. This points to poor exposure. 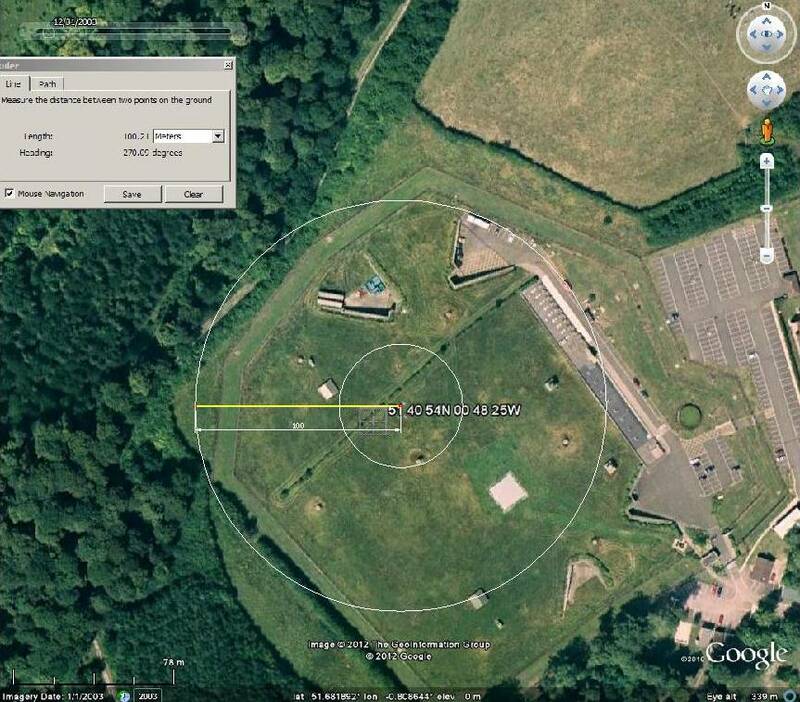 The site is essentially in a wood which has been growing for many years, the site origin was a camouflaged command centre during WWII. A close look around via Google Streetview with this problem in mind points to topography as an additional site feature, on the edge of a wooded escarpment. Figuring out if and why the site is a little odd would I think need the full site data and local knowledge.